Hello everyone, and as you may know, I have recently had a rather daunting operation that has made me reliant on crutches, so it isn't that easy to get around and as a result of that, I've been spending lot of my holiday in bed or just in the house. This can tend to get a little boring if you're like me and love being active, but I thought I'd write about a few things that I thought are essential for these kind of days, when you're just lounging around the house or ill in bed, so maybe if you're in the same situation, you won't feel bored out of your brains! Clearly this is important as you can't survive without food! 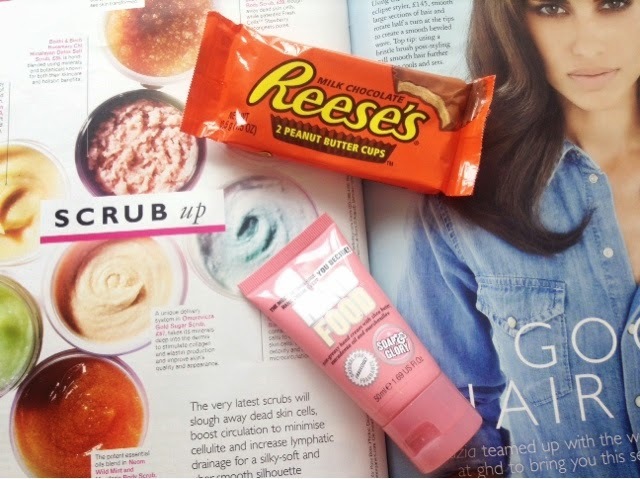 I just like having easy things if I'm in bed of on the sofa, and it's okay to have a little treat once in a while, like my favourite Reese's Peanut Butter Cups. It's also important to stay hydrated, so drink water or your favourite drink! If you're feeling a bit cold and under the weather, my favourite thing to do is make a lovely caramel hot chocolate or latte to warm me up inside and will make you feel all snugly! I know it's easy to forget about this if you're being lazy and aren't going out anywhere, but it's still important to keep your skin hydrated, mainly your face and hands. My favourite hand cream is the Soap and Glory Hand Food, so your skin will still feel soft snd smell like a lovely lil marshmallow. And don't forget the lip balm! When I was bed bound in the hospital and my house, it can get pretty boring if you don't have anything to do. 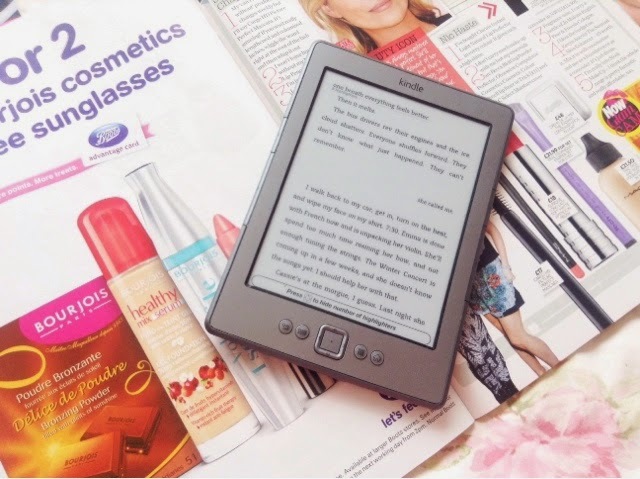 It's good to have magazines, books, or your laptop or tablet to watch YouTube videos or even read blogs (!) My favourite youtubers at the moment are VelvetGh0st (Gabby), Amelia Liana, Lily Pebbles and ViviannaDoesMakeup (Anna). When I'm a bit cold and down in the dumps in my room, there's nothing more comforting than lighting your favourite candle! It really creates an atmosphere, not to mention making your room smell lovely! My favourite ones are Yankee Candle Spiced Orange for a warm, cosy feeling or Yankee Candle Summer Scoop or Pink Sands for a fresh scent.